Ticks are small, blood sucking arthropods related to spiders, mites and scorpions. There are many different species living in the UK, each preferring to feed on the blood of different animal hosts, some will also feed on human blood. Ticks feed on just about any bird or mammal and some reptiles too. As ticks can survive and thrive in most places they can be found in both rural and urban locations, but they prefer slightly moist and shady areas such as woody, grassy and bushy settings. Ticks can carry many diseases (more than any other invertebrate host) such as Lyme disease which they pick up from mice, voles, squirrels, blackbirds, pheasants or seabirds, which all carry the diseases naturally. This is why it's essential to keep them off you and your pet. If an infected tick bites you, it may transfer one or more of the diseases into your bloodstream. Therefore you should check your pet for ticks daily especially after going on a walk outdoors. The ticks bite itself is totally painless and most people will only know they have been bitten if they become aware of a feeding adult tick attached to them. Ticks can attach anywhere on your body, so you should check all over, especially armpits, groin, navel, neck and head. Ticks are most active from April to October, however during warm winters and in certain areas of Britain, ticks ‘quest’ for blood throughout the whole year. 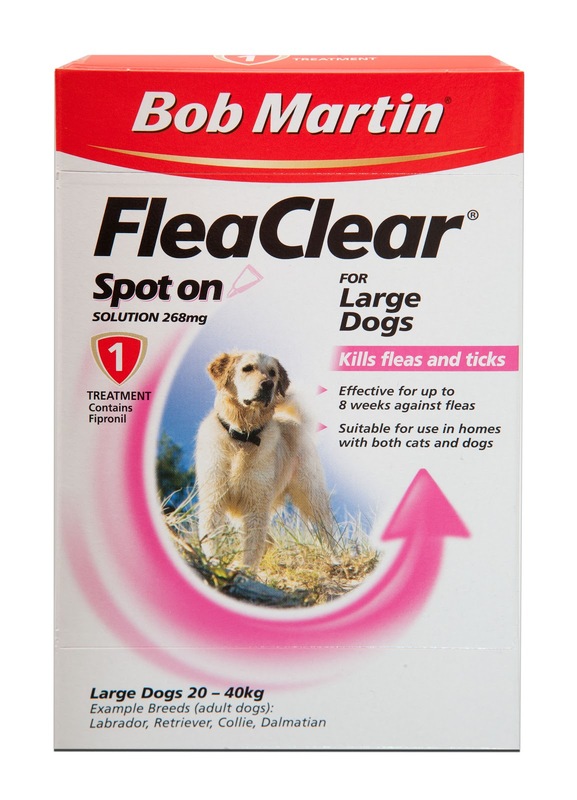 Our friends at Bob Martin recommends using FleaClear Spot On all year round to give your dog the best protection against fleas and ticks. 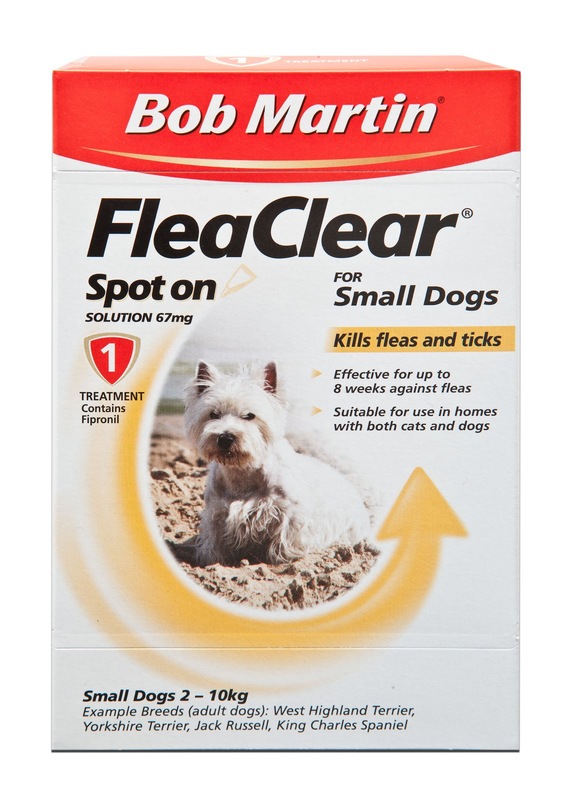 The treatment of fleas and ticks often goes hand in hand and this product will protect your dog from fleas for up to 8 weeks and from ticks up to 4 weeks. If you find a tick on yourself or your pet you should remove it as soon as possible. Ticks are tiny black/brown/reddish arachnids (they have eight legs), about the size of a pin head. If they have attached themselves to their host (you or your pet) they swell up (to the size of a grape in some cases!). It is also unpleasant if ticks are not dealt with before they fully engorge and detach: if a female tick detaches in the home after feeding, she can hide away and lay hundreds of eggs. Top tip: feel your pet all over, especially around the neck, head and ears. If you encounter a lump like a small pea, move the fur on your pet to see if you have found a tick. 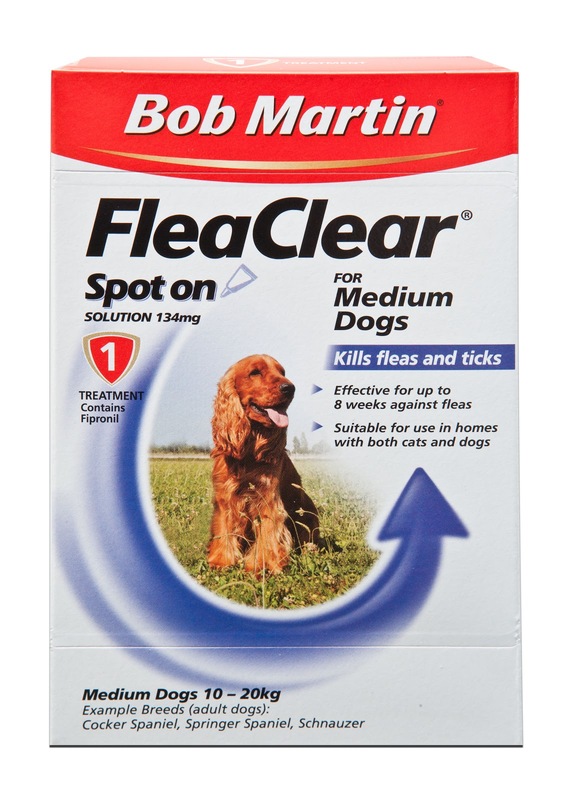 Should you find one, here are some top tips on how to remove a tick from either yourself or your pet: If you have them, put on latex gloves to avoid direct contact with the tick and contaminated skin, as diseases can be transmitted from tick to pet to human. Put your pet in a comfortable position. Ask a friend or family member for help in distracting your pet. 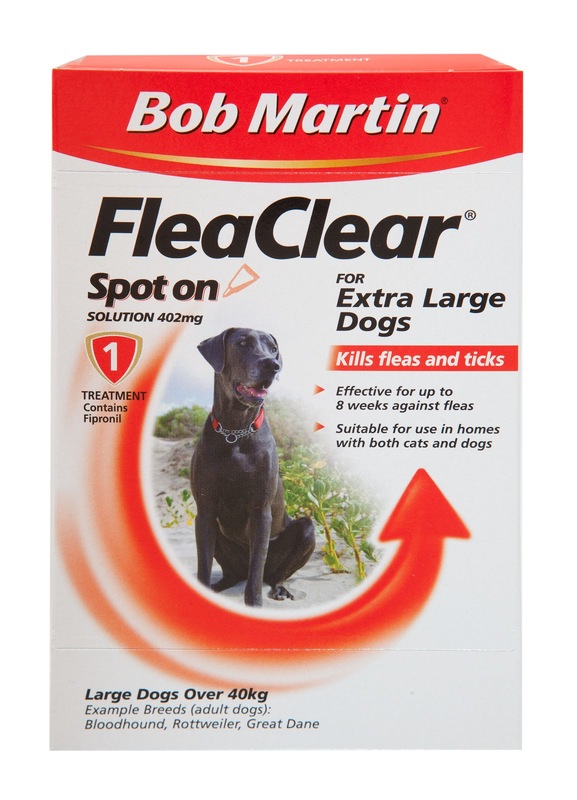 For more information on ticks along with other pet care issues please visit the Bob Martin website or if you have a question, please visit the Bob Martin Facebook page. For more information about going out walking with your dog, visit our website.